Blackstone Valley Chamber Breakfast to feature special guest Kate Fox, Executive Director of Destination Salem; focus on tourism industry. WHITINSVILLE, MASSACHUSETTS: The Blackstone Valley Chamber of Commerce will hold its monthly membership breakfast this Wednesday, April 13th at Pleasant Valley Country Club, 42 Armsby Road Sutton, MA in collaboration with the Blackstone Valley Chamber of Commerce Tourism Association. 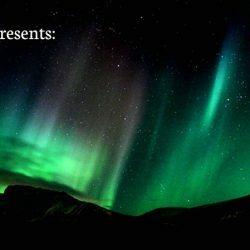 The topic of this breakfast is, “If You Think You Know Tourism- Think Again!” Join them in taking an in-depth look at the tourism industry as they prepare for National Tourism Month in May. Tourism extends beyond souvenirs to businesses, real estate, and promoting the Valley as a great place to live, work, and visit. Special guest Kate Fox, Executive Director of Destination Salem will discuss the positive impact tourism has had on that region. Jan Reitsma, Executive Director of the John H. Chafee Blackstone River Valley National Heritage Corridor Commission will give a special update on the future of the BV Corridor, progress of the bikeway, answer questions regarding the Blackstone-Worcester Visitor’s center and update on the National Park initiative. Presenting sponsor is Southwick’s Zoo, Mendon. Wake up Coffee sponsor is the John H. Chafee Blackstone River Valley National Heritage Corridor Commission. Business Showcase is Milford Federal Savings & Loan. Registration begins at 7:30am with the event beginning at 8:00am. The cost is $25.00 for members, and $35.00 for nonmembers. 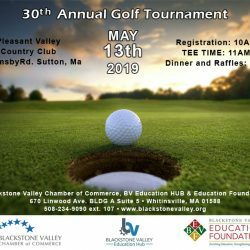 Please call The Blackstone Valley Chamber of Commerce at 508-234-9090 or email at administrator@blackstonevalley.org to register online. Registrations also accepted at the door.